Here's Douglas Cooksey on John Eliot Gardiner's Prom 58. Dvořák, Martinů, Janáček and Grieg, with the Czech Philharmonic Orchestra and Lars Vogt. An interesting experiment hearing JEG's early music sensibilities adapted to the 20th century. Bělohlávek in this repertoire is almost unsurpassable, so idiomatic and original. Why swap conductors? Nonetheless, I enjoyed this more than Douglas did. OTOH, maybe I appreciated it more after the disappointment of the 2 Osmo Vänskä Proms. Someone described the Minnesota Orchestra a a well-drilled machine. Worthy and reliable, but machines don't drive themselves. How Beethoven 9 can be earthbound, I don't know. There's a point at which underplayed dynamics merge into blandness. And Alisa Weilerstein impressed me less than when I heard her with Barenboim in May. She's good, but not "that" good yet. Vänskä was a near contemporary at the Sibelius Academy with Magnus Lindberg, Esa-Pekka Salonen and Kaija Saariaho, but unlike them stayed in rural Finland, building up a regional orchestra specializing in Sibelius and mainstream repertoire. Moving to Minnesota wasn't quite such a leap into the unknown for Vänskä as there are thousands of Finns in the region (where it's cold and there are forests and lakes). In fact at one stage there were more Finnish newspapers there than in Finland. Maybe what these Proms are saying is, get conductors out of their comfort zones and see how they do. Above is the Sibelius Hall in Lahti. Look, no trees! There is a harbour on the other side. When it's snowing, this glass-clad building must disappear in the mist. Another version of Carmen, this time the 1921 film directed by Ernst Lubitsch which became a huge hit in the US and paved the way for his Hollywood career. Gypsy Blood is the title, but it's a fairly straightforward account of the Prosper Mérimée novel. Bizet at least injects colour, flamboyance and good tunes. In comparison, Lubitsch can't compete for thrills. Gypsy Blood made Pola Negri a megastar. Polish girl finds fame as Basque gypsy in French novel as German made movie repackaged for the US! Modern Times, we'd say, with deliberate reference to Charlie Chaplin, one of Negri's lovers, who also made a take-off of Carmen in 1918. Watch Chaplin's Burlesque on Carmen in full download . You can see why Lubitsch's version was an improvement. And it makes you appreciate the much greater sophistication of Rex Ingrams's Four Horsemen of the Apocalypse, also 1921. Ingrams is making an art movie with political kick, not just a pot booiler. Carmen is intriguing because she's a symbol of womanhood completely outside convention. Lethal termptresses are a primeval archetype - Eve in the Bible, and before her, Sumerian goddesses with wings and bisexual characteristics. Mérimée's Carmen caught the imagination because she overturned 19th century propriety. Mérimée draws a cultural safety net around her by emphasizing her ethnicity. Gypsies were supposed to be uncivilized creatures, or as Hitler would say, irredeemable Untermensch. Real Roma are right to be offended by Gypsy Blood. Ironically, Mérimée came across the story via a Parisian socialite, but he wasn't being racist so much as fascinated by alternatives to mainstrean western European culture. Carmen, like Zuleika in Goethe or Isolde in Wagner, represents new possibilities with ancient antecendents. Carmen, though, breaks basic moral rules. She smokes, she drinks, she lusts, she does crime. Carmen in the 1920's gave legitimacy to millions of New Women, who smoked, drank, danced, and lusted like she, though most didn't cross ethical boundaries. Lubitsch's Gypsy Blood is crude even by film making standards of the time. Negri's exaggerated kiss curls are so ludicrous that maybe the film's reminding us it's farce. Film techniques then were primitive hence the cartoon-like makeup and overdone gestures. But even by the standards of the time this semaphore acting isn't even trying to be realistic. Please read other posts here on Carmen - Chaplin, Bizet, the new ROH 3D film and the Chinese Carmen, Grace Chang (Ge Lan), whose film Wild, Wild Rose is one of the finest developments of all (barring Bizet). I've written a lot on Chinese film and its part in modernization, and have given FULL downloads too. Carmen isn't necessarily a "bad girl" but a personality adapting to rapidly shifting social mores. That's why she's such a potent symbol. Theodor Adorno meets Tom Sawyer! What a conjunction and yet not so strange when you listen closely. Adorno is an auto-pilot target of hate these days because he was forthright and - shock, horror, Intellectual which is a Bad Thing. He used the tag Detlev Rottweiler, so there's more humour in him than the bogeyman business will allow. Here, he's drawn to Tom Sawyer and Huck Finn and their adventure with the sinister Injun Joe. The story is a lot like Ewartung. so this surprisingly modern setting makes sense. This is a fragment of Adorno's opera, Der Schatz des Indianer-Joe, left incomplete when Adorno moved to England in 1934. Lots of Weimar artists were fascinated by the creative symbol of America, long before they were forced out by Hitler. Think Zemlinsky, Lubitsch or Brecht. This does have a bearing on received attitudes to Suppressed Music and its reception. Of course we know lots about composers and artists then, but there are broader perspectives yet to be explored. In September I hope to be writing a lot about early German and Czech film, Fritz Lang in particular. But for now enjoy another aspect of Theodor Adorno. From the Finnish Institute in London : "Can furniture be made from trees thinned out from the forest? Can a new dinner set be created from donated plates? Can a restaurant gather ingredients straight from the forest? Can something new come out of foraging the old?" "The Finnish Institute in London is delighted to announce HEL YES!, a temporary restaurant and exhibition imagined and realised by a creative team of Finnish designers and food visionaries; led by Antto Melasniemi together with London-based designers Mia Wallenius and Klaus Haapaniemi. Unveiled in mid-September during London Design Festival 2010, HEL YES! will serve as a melting pot of people and ideas for 14 days." "Entering the HEL YES! space, guests will find themselves in a campsite-like formation in the shape of a circle. Canopy style open tents on the edges of the main area will be created with cashmere shawls and linen textiles from the new ‘Klaus Haapaniemi’ luxury textile collection, launching at HEL YES! Inside the open, candlelit tents, the diners can sit on camp beds.The middle of the space will boast unique tables designed by Linda Bergroth especially for HEL YES!, seating 60 diners. Created from young, aspen trees thinned out from a forest near Helsinki, the tree’s slim trunks otherwise destined to become wood chips have been given another life as poetic, hut like structures under which guests can camp and enjoy a delicious dinner. "In the HEL YES! kitchen the ideology of foraging continues. 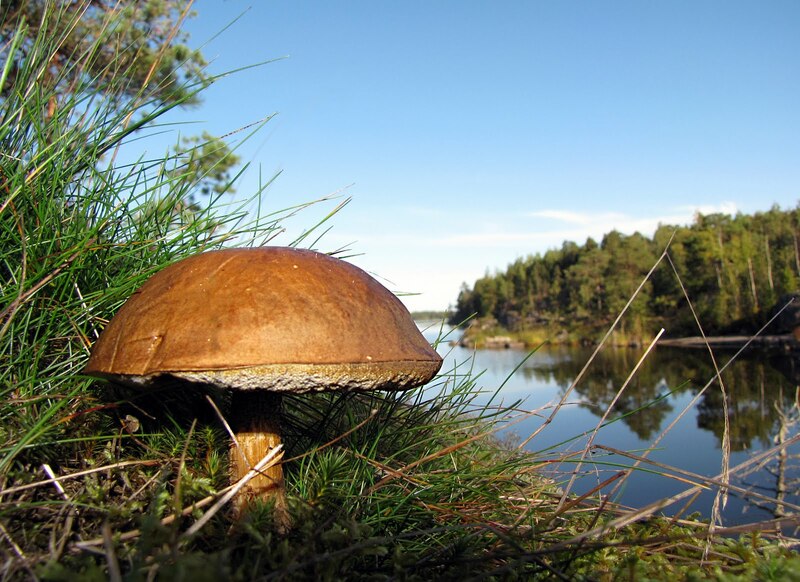 Tastes from the Nordic forests are brought to the plate by top chefs in straightforward and simple style. Though some key Finnish ingredients such as fish roe, game and preserved plants will come from Finland, most of the daily ingredients will be sourced by the HEL YES! team of hunters and gatherers from around London." "It is all about the delicacies of primitive Finnish cuisine, which is typically more about pure ingredients than, for example, restaurant culture. We will use the best vegetables and fish as well as traditional cooking methods, making our own interpretations along the way. We will avoid decorative elements and focus on substance. There will be Karelian stew, whipped lingonberry manna and spruce shoots - Catches of the Day!" For more, please read the Hel Yes site ! At last, after a long artistic drought it's good to hear Mark-Anthony Turnage back on form with Hammered Out, premiered at BBC Prom 54. Nice and punchy, like a prize fighter strutting his stuff. Good omens for Turnage's opera Anna Nicole, next year at the Royal Opera House. Maybe Anna Nicole's desperate post-Diana Dors persona (Marilyn's too classy) fits Turnage's thing for kitsch interpreted vaguely ironic. Hammered Out is nothing scary, and quite entertaining. If the opera's more of the same it will be a hit especially with audiences that don't usually do opera. Much as I had fun because I don't normally listen to pop. Pity, though, for Anna Nicole Smith was a disaster waiting to happen. Tacky as she was, her life was tragic, She exploited others and was exploited in return, but she's still making money. There's plenty of sociological comment in her story, but it isn't like Turnage to penetrate psychological depths. It isn't always needed, and Anna Nicole was such a character that maybe she'll fill the opera with sheer panache. Turnage's Hammered Out could not have found a better interpreter in David Robertson, Mr Energetic himself. He stresses the tension in the repeated patterns, punched out rapid fire. In the middle movement, there's some respite, but then the sassiness begins again. Tight, muscular playing from the BBCSO. David Robertson and Gil Shaham have such rapport that it's always an event when they play together. Robertson's married to Shaham's sister but the relationship goes much deeper. It's practically symbiotic as this performance of Samuel Barber's Violin Concerto showed. They've probably done this piece together dozens of times, but it still feels fresh and exciting. If anything, their experience warms the performance, as it flowed confidently and naturally. Evenly paced Sibelius Symphony No 2, as well. Listening to this old favourite after listening to Shaham made me think about Sibelius as violinist, so I paid special attention to the strings. Every time we listen to something we're always hearing "new". If we're human, we're always developing, as the performers do too, and it's not a bad thing. I was delighted then to spot that BBCTV 4 is showing Christopher Nupen's wonderful film about Sibelius again tonight. No rebroadcast, get the DVD. It's one of the few music documerntaries that you can play over and over and stll enjoy because it's a work of art in itself. Latest news is that a long passage of Turnage's Hammered Out is almost identical to a pop hit by Beyoncé. Yow!! Good for her! There's no reason why pop shouldn't cross into so-called serious music! Not so sure, though, about Turnage not giving her credit. See also THIS Until this week I'd never heard of Beyoncé but managed to guess that Hammered Out was "not scary", "entertaining" and would be a popular hit ! What a laugh ! Strange companions, Tosca and Tolomeo, but they were there at the Glimmerglass Festival. Please read Jim Sohre's description in Opera Today. Lots of good pics, too. He's right - limited resources focus the mind, so the emphasis is on quality, not wrappings. And humour and Handel ? What a good idea ! Worked fine in his time. Please see my reviews of each of these concerts (and also lots of other Mahler) So far M1, M4 and M3 coming up. Please see labels on right. This Friday, August 27th another major Mahler fix comes from the Berliner Philharmoniker.LIVE streaming online and in cinemas across Europe. This marks the start of the Berlin Mahler year, not that it's such a big deal in a city that's sponsored complete Mahler cycles several times. But in Berlin they do things with real style., so this will be another unmissable event. Especially as the band includes some of the same folk as played with Abbado in Lucerne. Rattle's conducting Mahler 1 and Beethoven 4. Plenty more Mahler coming up from Berlin, see my summary HERE. The Berliner Philharmoniker site has lots of fantastic stuff coming up - Berio Coro and Boulez conducting the full Stravinsky The Nightingale. The site's been streamlined and really is fantastic. This is the way to go ! The world is now one, with equal access for anyone, anywhere with the net (and a basic income - let's not forget how lucky we are, compared with millions). It still amazes me to think we can all share wherever, whoever we are. Long term this could make a difference to the future of classical music. No more big fish in small ponds. No more insularity. No more hicktown Hitlers. No wonder some folk are running scared. Fortunately, though, it's the top orchestras who have grasped the new technology. Ventures like the Berliner Philharmoniker are expensive, but they keep their quality high and aim at those who appreciate what they're doing. Really good business means growing the market, encouraging audiences to aim higher, learn more. This raises the bar for everyone, which is a good thing. Luckily, classical music is never going to appeal to tone deaf profiteers like Murdoch. And on 4th September, Rattle and the Berlin Philharmoniker come to London for the Proms, which we can all listen to worldwide live and online. Wagner, Berg, Strauss, Schoenberg, Webern and on BBC2 TV for the domestic audience too. I will be reviewing this concert and comparing it with the Proms broadcast - please come back for more ! Conventionally, Schumann symphonies have been marinated in the rubato-rich juices of Late Romantic lushness. Thomas Daugaard's approach is to dispense with the veneer of received performance practice, and go back to what the music might have meant to the composer himself. Earlier Romantic, then, lit by the free spirited clarity of Nature. Hearing Schumann in the context of his world is perhaps the key to understanding his music, rather than hearing him through Wagnerian and big-orchestra filters. Although the Swedish Chamber Orchestra Örebro (birthplace of Jussi Björling) isn't a period orchestra, there's no reason why they can't play informed by period practice. Hence the natural horns, evoking the woods around cities in Schumann's times, and the sounds of posthorns in the towns. Tighter. lighter textures. With Dausgaard, Schumann flies, and the true adventure in his music is freed. Schumann's Second Symphony in C major has been called problematic. As early as 1848, a critic wriote that, despite its grandeur and the elegant delineation of its sections, that there was "much that is peculair and capricious, that one will find astounding and over which one does not know whether to question or to be angry". Later, the image of Schumann as a madman clouded popular perception. Only now, perhaps, can we accept Schumann on his merits. This is not, as sometimes suggested, a symphony about manic depression. The terms didn't exist in those days, and the idea of triumph certainly didn't apply to Schumann. Even at his happiest, in the year of his marriage, he's haunted by doubt, as anyone listening sensitively to Dichterliebe will know. With that myth out of the way, we can hear in this symphony deliberate references to Schumann's heroes, Bach, Mendelssohn and Beethoven. At this point in his life, Schumann's come through a bad patch, but he's looking ahead. The chorale theme that flows through this symphony connects explicitly to Bach and to Beethoven's 9th Symphony. Bach, of course, was "new music" in Schumann's times having been brought back into the mainstream by Mendelssohn. It's significant, for there's a huge connection between Schumann's symphonies and his songs and chamber music. They're all part of a flow, just as in Mahler. Understanding Schumann in terms of scale and intimacy, the way Dausgaard does, makes sense. Nowadays we can also appreciate music that it isn't smoothed out and homogenized. Schumann 2 is odd, because he mixes serene passages with oddball quirks, like the sections in the Scherzo. The last movement is sublime, but it's undercut by the moody bassoon from the Adagio, which Schumann told a friend was when he heard his "half sickness". Yet he had a "special fondnesss" for this strange melancholy. It's not quite as simple as feeling secure in sanity. All his life, Schumann was fascinated by cryptic codes and portents, so secret codes do exist in his music. this symphony references Beethoven who also had a crisis of the soul, and the An die ferne Geliebter connections may refer to Clara, whose love gave Schumann respite for a while. Song again, in the guise of symphony. I like Dausgaard's Schumann much in the way I liked Oliver Knussen Schumann Symphony no 3. Dausgaard's more elegant, but neither of them attempt to clean Schumann up or straighten him up. Schumann's interesting because he doesn't fit neatly. Nina Stemme sings with great majesty, but Berlioz Nuits d’Été needs more vivacity. This is Berlioz nimble, agile and inspired. The vibrant rhythmic invention of Villanelle didn't get off the ground. I tried singing along mentally, but kept getting stalled. Stemme sounded occluded, without the vigour she's capable of. In a way, though, it reaffirmed the validity of non-Wagner dynamics. 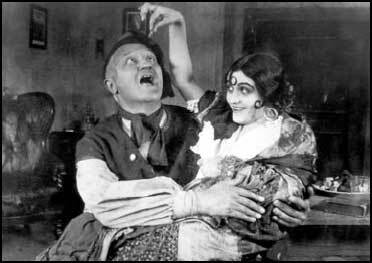 Albert Schnelzer's A Freak in Burbank was an amusing bagatelle. It's a take-off on Haydn's Toy Symphony and refers to Tim Burton's movies, which hybridize cartoon and horror. Hence the juxtaposition with Schumann, maybe. I liked the Tom and Jerry scampering, but the piece is cute rather than deep. 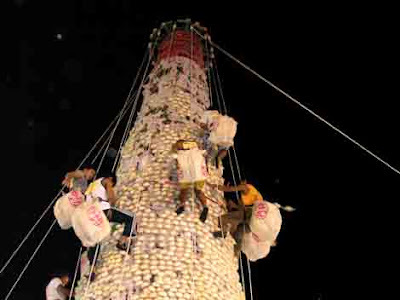 Climbing a mountain made of buns? This photo shows the Cheung Chau Bun Festival for which teams of men train all year so they can scale heights of pastry. It's fun and down to earth. Why expend angst when you can simply enjoy. Ilan Volkov's Prom 47 was wonderful, defusing the hysterics modern music often attracts from those who hate on principle.The Bogeymen of the Avant Garde are perfectly approachable, if you take them on their own terms. That's perhaps why Cornelius Cardew's Bun No 1 works. It's slight but fun. 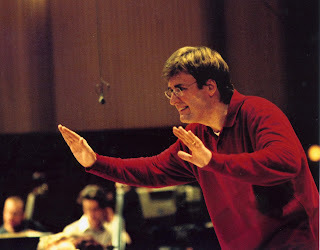 As Calum McDonald, in his notes puts it "Cardew deploys a whole panoply of techniques – contrary motion, retrogrades, glissandi, harmonics, staggered entries, extreme contrasts of loud and soft, angular motifs, cautious stepwise movement, decisive synchronised attacks, extremes of range from the deepest tuba to the highest piccolo, transparent chamber-music-like part-writing, massive tutti exclamations, and almost constantly changing time signatures." Cardew gave many reasons for the whimsical title, but for me the piece feels soft, round and yummy - no percussion at all! Nothing but percussion in John Cage's First Construction (in metal). Varèse’s Ionisation (written only 8 to 10 years before) is obviously an influence, but possibly also Colin McPhee whose explorations in Indonesian music and gamelan in particular have transformed western music. For many, non-western music opened a whole new palette of expressive possibilities. Messiaen, for example, and even Simon Holt's Table of Noises. First Construction is structurally very sophisticated, mapped with mathematical rigour, so the lines weave and interplay precisely. Medieval polyphony, carefully designed for maximum textural complexity, except that Cage is using percussion instead of voice. You don't have to analyze medieval polyphony to enjoy it. Nor do you have to map out Cage's structure to get a lot from this deeply expressive music, though it enhances the experience. It's like a medieval cathedral constructed of exotic materials, different but spiritually satisfying. I enjoyed Howard Skempton's Lento (1990) for much the same reason, though it's nowhere as important a work as Cage's First Construction. The mood is transcendant, defying the large forces used in its creation. It's not all that far removed from mainstream music - think Mahler, or Bruckner - though it's modern. Ilan Volkov gets the BBCSSO to play it with refinement, so the harmonies blend beautifully. In 2006, the London Sinfonietta played Morton Feldman's Rothko Chapel at the Proms. It was unbelievably powerful:, a spiritual experience. It was like being in a secular cathedral, light and colour a metaphor for deep feelings. Similarly, Feldman's Piano and Orchestra (1975) operates on emotions that don't need logical explanation. Volkov gets extreme restraint from the orchestra. This illuminates John Tilbury's playing. This isn't concertante so much as a kind of communion where the orchestra listens to the soloist, their response like an aura around his playing. Calum McDonald describes the piece as a "slow wheeling kaleidoscope" revealing different objects with each turn. Sometimes single notes unadorned, sometimes clusters, lively outbursts. Towards the end, the orchestra wells up, brass ominously assertive. But Tilbury plays on, unshaken and serene, quietly repeating a theme that's run unobtrusively throughout the piece. Modern music is most certainly emotional. You just need a capacity for empathy. And performances as good as this. The equivocal nature of Mahler’s Seventh Symphony makes performers respond in an individual way. It is as if Mahler is setting a challenge that will separate the creative from the conformists. In the same way, it is a challenge for listeners. Can they follow the interpretation? Can they feel what the performer is trying to express? There are no “right” answers : the challenge is in the process. As E M Forster said, “Only connect”. Sometimes when I listen to this symphony I think of Mahler with his uncompromising intellect and originality, looking at us, with a grin, whispering “Only connect”. What then is Abbado expressing? This version has the conductor working with the Lucerne Festival Orchestra, an orchestra hand picked from among the finest musicians in Europe. The great names are here - Kolja Blacher, Antonello Manacorda, Albrecht Mayer, Sabine Meyer and her Bläserensemble, members of the Hagen and Alban Berg Quartets, members of the Mahler Chamber Orchestra. Abbado has worked with them individually and collectively many times, and they know each other well. Coming together to play is an exhilarating experience, all the more stimulating because it is a seasonal event, rather than a regular fixture. This gives the performance a wonderful blend of precision and spontaneity: these are musicians at the peak, technically, playing for the sheer enjoyment of being together and sharing their love of the music. This means Abbado can create an unusually acute, chamber-like performance. It is the refinement and sensitivity of this interpretation that is refreshing. Abbado recorded this in May 2001 with the Berlin Philharmonic, when he was their chief conductor. That performance was assured and expansive, making the most of the Berliners feel for the grand scale. Although many of the Berlin players are on the Lucerne Orchestra too, Abbado has chosen a very different, more sophisticated approach. The famed figure on posthorn that signals the opening asserts itself, but leads naturally into the ensemble, without overly dominating. This chamber approach enhances details like the flurries in the exposition, warning, perhaps, of “night winds” to come. What is even more striking, though, is the expert precision with which these players respond to the conductor. They switch from the march theme to strings as if they were a single organism. Playing of this calibre is exciting, particularly when you appreciate just how many players are involved. Abbado takes the march theme not as a rigid militarist march but as something crisper, and faster paced. It is less tied to 19th century reality, and becomes more abstract, more timeless. In the first Nachtmusik, the horns are exquisite, expressly like alpine horns ushering in nightfall. The movement has a duality like that between night and day, darkness and light. Yet, as in the first movement, the music moves forward to the scurrying sounds of clarinets and pizzicato strings. The swirling motifs in the Scherzo cut off with breathtaking suddenness. They deliberately unsettle any complacency. This same unsentimentality illuminates the second Nachtmusik. Serenading mandolins and guitars are typical Romantic cliché. Yet again, this orchestra lifts the movement out of the 19th century with its clean, modern sound. Lush, resonantly mysterious playing is a given, but then Abbado puts finger to mouth, indicating gradual silence. The music softens into a strange but convincing combination of understated yet precise playing. In contrast, the Rondo Finale is even more electric. In his notes to the recording, Donald Mitchell states; “The violent, unprepared contrast is akin to parting the curtains in a dark room and finding oneself dazzled by brilliant sunlight”. It’s an ambiguous, contradictory movement, but what stands out is its powerful sense of energy. This is where a crack orchestra like this proves its worth. The precise, vivid commitment of this playing carries all with it. This is its excitement. There’s no place here for sloppy blurred playing. There is no need for the composer to resolve the ambiguities of the night, which are part of nature. 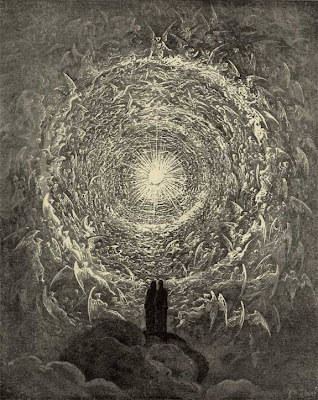 Mahler throws himself into the light as if in an act of faith. The Lucerne Orchestra explodes with sheer exhilaration. It’s glorious. Abbado shines with happiness and clutches his chest – an unconscious gesture, but one which for me was incredibly poignant. Life is fragile, but Mahler lived it fully and passionately. He wrote the equivocal Nachtmusiks before the rest of the symphony. Perhaps then the Finale is, like Urlicht in the Second Symphony, or the Finale in the Eighth, a statement of faith in life itself? I don’t know. But this performance certainly had me thinking on new lines, the sign of a truly original and thought-provoking interpretation. One day, perhaps, when audiences become more attuned to modern approaches to Mahler, the Lucerne Festival concerts will be appreciated for their role in developing Mahler performance practice. Please also read about Ingo Metzmacher's Mahler 7 at the Proms 2010, That was wonderful, too, because Metzmacher and DSO Berlin make a virtue of the contradictions, a good flow between the contrasting moods, the crazy distortions which made people call this the "Symphony of the NIght". Plrease keep coming back to this site if you like Mahler, he's been the lodestone of my life for many years. I remember Des Knaben Wunderhorn Dietrich Fischer Dieskau/Elisabeth Schwarzkopf when it came out! But I was pretty young then. The Royal Albert Hall was sold out for Yannick Nézet-Séguin at Prom 48. He conducts regularly with the London Philharmonic, and was last at the Proms with the Scottish Chamber Orchestra. Unlike many superhunk heroes, he's built a solid reputation. It's good that nowadays conductors are international. It gives them a perspective single-city orchestras don't have. Nézet-Séguin came to London this time with the Rotterdam Philharmonic. He's getting good results. In the Overture from Tannhãuser the balance between pilgrims and profligates was deftly balanced, both themes united in the sheer beauty of the music. Less successful, for me, was Simon Keenlyside's Mahler Rückert Lieder. I'm fond of Keenlyside more as an opera singer than as a Lieder singer. While this was a perfectly creditable performance it didn't penetrate specially deeply. Perhaps it's fine for the Proms, but catch it in smaller-scale recital, and with a Mahler specialist, for proper effect. No qualms at all about the Rotterdammers' Beethoven's Symphony No 3. 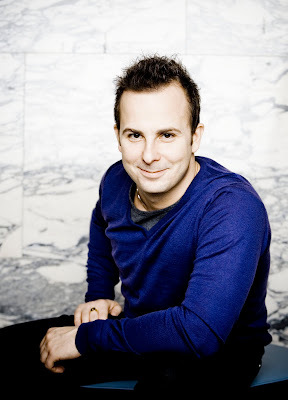 Nézet-Séguin's personal stamp on the old favourite is interesting, an indication that as a conductor he thinks from the score, the sign of a true musician. The Rotterdammers are mature enough to take new ideas on board, because music never exists in a hermetically sealed vacuum. Philadelphia should be grateful that they can get a conductor of this calibre. Nézet-Séguin may be young, but he's not putty. Hopefully the orchestra will realize that it's a conductor's job to have vision. Today I came across a lovely article on a Philadelphia gay website extolling Nézet-Séguin's virtues, so at least he'll have some enthusiastic support! Incidentally, maybe there's a hidden message in Tannhãuser. Christoph von Eschenbach gets his name from a descendant of the real-life Eschenbach, who adopted him when he was a war orphan, too traumatized to speak. When his maternal aunt (married to von Eschenbach) put the boy in front of a piano, the boy came out of his shell. Hoiotoho! Wagner goes global, Die Walküre from Bayreuth available online, internationally thanks to Siemens AG. "The whole world is a festival theater" goes the publicity, and it's true. It really is a grand gesture because the whole opera world can come together, to enjoy the finer parts of Wagner's vision. Kinder, macht Neues! in every sense. The petty cliques of closed cult Bayreuth are breaking down. In this increasingly cynical, selfish world, such gestures are generous. Of course there's something in it for Siemens, since they're demonstrating the potential of telecommunications technology. But their faith in Bildung deserves respect. Bildung simply means that human beings can strive for improvement, and for ideals. Pity, then that they had to screen Tankred Dorst's brain-free Die Walküre. It's been around since 2006, so Siemens should have been warned. Or maybe someone in marketing realized that what sells these days isn't what is good, but what appeals to the lowest common denominator. Big money was thrown into this production, but it's so pointless it would disgrace a student venture. Wagner without ideas? Wagner without emotional engagement? Wagner railed at Meyerbeer (unfairly) for producing brain-dead pap. Now Meyerbeer has the last laugh. This set's so generic it could have been lifted from a cheap video game. Except they haven't made video games that dull since 1981. The designs didn't have a chance, though, as the direction was so cardboard that they might as well have put the singers on castors and rolled them on and off. "It's Freudian", Dorst tells an interviewer. He noticed? Pity he didn't tell anyone. This isn't a "modern" production by any means. Breastplates, funny hats. Basically, a tacky remake of some notional antique Ring, learned from photographs, not from the music. This is what happens when there isn't any direction at all, not even an attempt at coming to terms with what's in the opera.Whatever Wagner may be, he's not superficial or shallow. This is a production by and for those who don't actually like Wagner. Fortunately, this is a very strong cast, all experienced enough to know what Wagner's about. So, park and bark, without the bark. Johan Botha's a finely nuanced Siegmund, good enough that he'd probably convince as Siegfried. Kwangchul Youn's Hunding is complex and dark, much more than stock villain. Edith Haller's gorgeously vivacious when her Sieglinde breaks out of Hunding's spell. Mihoko Fujimura sings well, but really shouldn't have been costumed as fake-Japanese. It's racist because she's a good performer whatever her nationality. 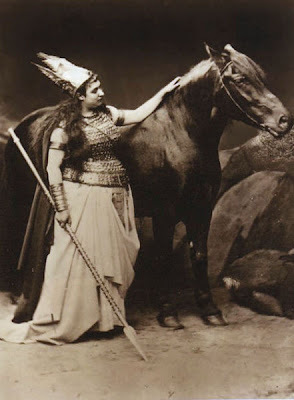 Albert Dohmen looks ridiculously young next to Linda Watson's magnificent Brünnhilde. She saves the show because she gets on with her vision of the role, in the vacuum of this vacuous production. Maybe she was bored witless too, but being a true Valkyrie, she got on with the job. Christian Thielemann conducted spiritedly. Often, a conductor gets praise when the rest of a production's bad, but in this case the praise is deserved. So what a disappointment - good singing (if no acting), good orchestra, absolutely wonderful sound reproduction and intelligent filming and lighting. And definitely major respect due to Siemens AG, the TV crew backstage, the simultaneous translator, and the whole team that made this broadcast possible. They are extremely professional. But Gesammstkunstwerk with the drama missing, that's not Wagner. Hopefully, next year Siemens will have the courage of artistic conviction and let the lowest common denominator rise up towards it. Maybe that's just the kick Katharina needs. If Siemens can get this Wagner to raise her standards, they'd be doing Richard Wagner a huge favour indeed. Labels: Bayreuth, Wagner, Wagner Die Walküre. Esa-Pekka Salonen's daring. It takes guts to follow Mosolov's The Iron Foundry with Arvo Pärt's new Fourth Symphony, but Salonen rises to the challenge. Both pieces are enhanced by being heard together in Prom 46 also broadcast on TV. Mosolov's The Iron Foundry doesn't actually need fine musicianship, but Salonen and the Philharmonia show why top notch playing makes a difference. Precision engineering! Here the sparks really flew, frantic but agile, with muscular energy. 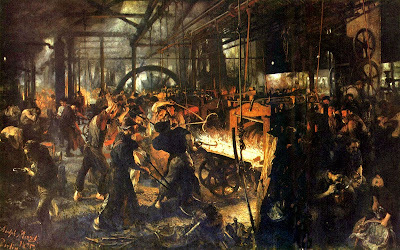 This could be a foundry in Heaven, or Hell. Read more about the piece HERE. Apparently, Sir Henry Wood conducted it seven times when it was new, eighty years ago. So much for the stupid theory that modern music somehow "can't" be appreciated by ordinary people. Arvo Pärt's 4th symphony "Los Angeles" (2008) with its clean lines and wide open panoramas could have been written for Salonen, who brings out the clarity in the work. Pärt's mysticism can attract muddy, pretentious performance, but Salonen doesn't do slush. Here, Part's seamless harmonics shimmer, changes barely perceptible. Meditation music, perhaps. Last night's Mahler 9 from Lucerne (Abbado) still resonates in my mind, which is unfair on Pärt, so it's better to think of "Los Angeles" in terms of Einojuhani Rautavaara, who wrote lots of symphonies about angels, light and transcendance. In fact, Stockhausen was into that, too, and John Tavener and Jonathan Harvey and others. This symphony is much more esoteric than Pärt's Prom 43 St John Passion, still available on I-player). Towards the end, there are echoes of glorified almost-ostinato. For me, The Foundry rears its head again. That's not a bad idea, and possibly deliberate on Salonen's part. Pärt dedicated the work to Mikhail Khodorkovsky, imprisoned in Russia. Alexander Mosolov spent time in a Stalinist gulag, his career never recovered. Jean-Efflam Bavouzet played Ravel's Piano Concerto for the Left Hand. It was good, but not the most intense (remember Aimard in 2009) but Salonen and the Philharmonia flashed back in glory with Scriabin's The Poem of Ecstasy, a psychedelic high in music. Here its hyper colours took on a surreal glow, modern and timeless at once, like a good trip on LSD. 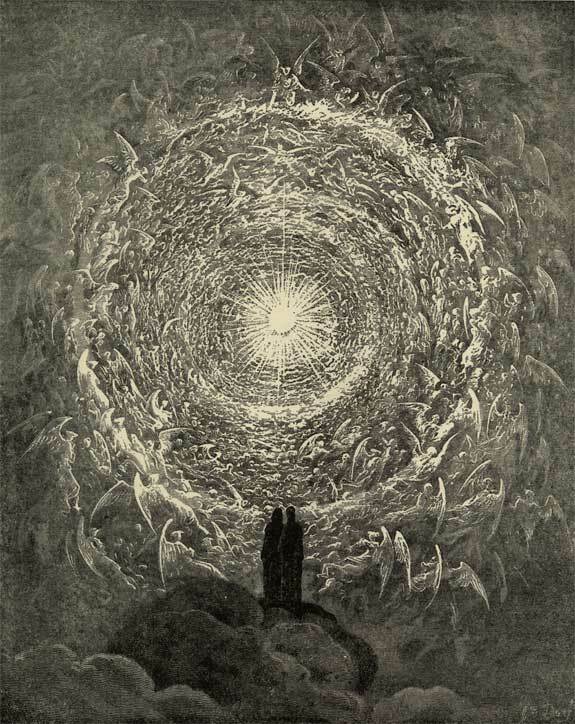 The picture is Gustav Doré, a possibly deliberate rethinking of Caspar David Friedrich's paintings of individuals overwhelmed by vast landscapes and oceans. The Angels circulate, hovering in layers. It's Pärt's tintabulation, in visual form. COMING UP, Volkov's interesting Prom 47, Wagner from Bayreuth and Prom 48. All happening at once, please keep reading and subscribe. Claudio Abbado conducted Mahler 9th Symphony at the Lucerne Festival this evening, broadcast live on arte.tv. Abbado's Mahler is always superlative, but this was wonderful. Lucerne means a lot to him, as does this orchestra, his pride and joy. 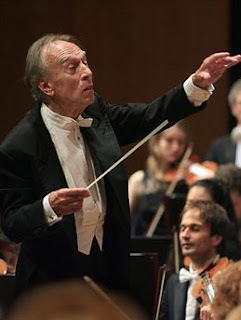 Abbado looks older and frailer than usual, which may or may not give an edge to his performance. Mahler's Ninth Symphony is valedictory, even though the idea that it's obsessed with death has long been squashed. Mahler is looking back, for he's reached a kind of crossroads in his life. Yet he's also looking forwards, into the unknown. That amazing finale, where the music soars ever upward, higher and higher, floating free, above petty concerns. The Ultimate Sublimation in music, perhaps, but I think, and perhaps Abbado thinks, it's life-affirming. There's warmth in this symphony, even humour - the cheeky piccolo that cuts through the solemn brass, the lively whips of sound that enliven the long planes. In the second movement, Im Tempo eines gemächlichen Ländlers., the painfully nostalgic violin gives way to a build up to crazier forces. In this performance, the peasant dance was wild and wacky, sudden switches of mood, like fleet footed dance steps. A bit like fate, which throws the best laid plans. So nimble, in fact, that the TV camera didn't catch the violin's interjections at one point. Focus on where the symphony is heading, because with Mahler, there's always a goal, which colours all that leads towards it. The last movement begins with strings alone, "the voice of the individual", unsupported and alone. In this performance, the strings were exquisitely dignified. At the beginning of a long journey, no need to rush. Many little Ruckblicks, reiterations of themes that have gone before, like memories. Muffled horns, a brace of oboes and restrained bassoon, just audible enough against the gossamer cloud of strings. The Lucerne Festival Orchestra is exquisite, the finest musicians in Europe coming together because they know each other well and love working together. They're like extended family, and some are family, most of them so familiar it's like seeing old friends. Kolya! Sabine! you think, which adds an extra dimension to the experience. The intimacy shows in the playing - such coherence, such sensitivity, as if they're a huge chamber ensemble. These players have such fluent control, they hardly seem to be playing at all, as if the music was floating naturally out of them. Last year Bernard Haitink's Mahler 9th at the Proms with the LSO was wonderful, but the Lucerne Orchestra is simply in an altogether more elevated league . Almost unbelievably luminous textures, such refinement that the music seems spun from light. Each new stage reached leads to another, even more rarified, like air in the Alps, the purer the higher you go. At the end, Abbado looked exhausted, like he'd been reaching the peaks in his soul. For a long time he stood silent. Suddenly his eyes opened wide in wonder. Throughout the symphony I could hardly breathe, so intent on "being" with the orchestra, so when the sounds ceased, it felt like extra bars existed beyond the score. No way was this Mahler's "final word". He leaves the music open ended, as if its floating on its own volition, beyond what mere mortals can hear. Hopefully this concert will be broadcast again, on demand. In the meantime, there are DVDs of Abbado's Mahler at Lucerne to enjoy. Each performance is different, of course, and this one was specially moving because it's such a mature reading. Abbado and this orchestra go back a long way together, but this performance feels like theirs is a journey that won't end, even after the music stops. Irrational, perhaps, but since when did music this sublime have to be rational? Please see my other pieces on Mahler, plenty on this site. Use search button or labels. There will be more, because it's Mahler year, but it would be hard to beat Abbado's Mahler/(though watch out for the coming Berliner Philharmoniker Mahler season. Many of the Berliners play at Lucerne). And listen to Eschenbach's Mahler series with the Orchestre de Paris online. PLEASE also see what I've just written about Abbado's Mahler 7 at Lucerne in 2005. Quirky highlight of this week's BBC Proms adventures in Russian repertoire is The Iron Foundry by Alexander Mosolov, in Prom 46. 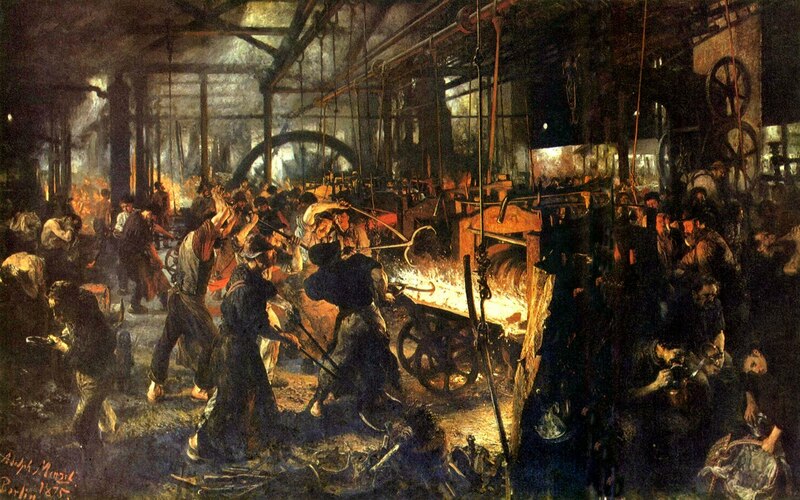 The Iron Foundry was written in 1926-7, before Stalin's dead hand set in, the Soviet Union still supported Revolution in the arts, so its avant garde modernity fitted right into the Soviet mentality at the time. Workers glorified, not effete upper-class dilettantisme. Nowadays, The Shock of The New may not be so unsettling, but in 1926-7 the world was agog with the idea of The Brave New World and visions of a future transformed by mechanical processes and technology. Extremely relevant to our world, revolutionized as it is by information and communications technology. What connects Mussolini to Bertolt Brecht, Afredo Casella to George Antheil, Legér to Duchamps to Fritz Lang? In September, Lang's Metropolis will be reissued in a new, clean print. I've seen it already and am going to write lots more. But here is a clip of the original, Watch it while listening to Mosolov's The Iron Foundry tonight. Why do they bother to write ersatz music when authentic 1920's music like this exists? (The picture is by Adolf von Menzel, painted in the 1880's, expand for detail) I will write about this Prom and even more interesting Prom 47 which connects to it later - Lucerne Mahler 9 Abbado is just up, then Wagner from Bayreuth ! Please come back, subscribe, bookmark. The tolling bell and wash of strings in Britten's Sea Interludes resurrect in Pärt's Cantus in memoriam Benjamin Britten. Shostakovich's Fifth Symphony under Gardner was energetic, though not extreme. So where dioes Huw Watkins fit in? Perhaps because his new Violin Concerto contrasts chaos and serenity. Shostakovich contradicts conventional wisdom with a contradictory ending. Watkins's resolution is elusively tamtalizing. Shostakovich starts with high pitched string legato, like Britten would do later, Watkins returns to long lines after a raucous start. Alina Ibragimova gives Watkins's Violin Concerto credibilty, she's firm and assertive. I'll be writing more about Pärt later, but here's David Fanning on Prom 42. The Oxford Lieder Festival is small, but is extremely important. It's quite an achievement, extremely well organized and comprehensive, a model for intelligently-presented festivals of any kind. Ten years ago, Lieder was relatively niche in the UK, now it's firmly part of the landscape. Thanks, in part, to Oxford Lieder,with its recitals, workshops, schools projects, masterclasses etc. Singers, pianists and dare I say it the media, are more aware how a solid foundation in art song makes a huge impact on vocal performance. (FOR DETAILS OF OXFORD LIEDER 2011 please see HERE.) As usual I'll be at most concerts. This year's Oxford Lieder Festival starts Oct 15th but make bookings now as many things sell out fast. 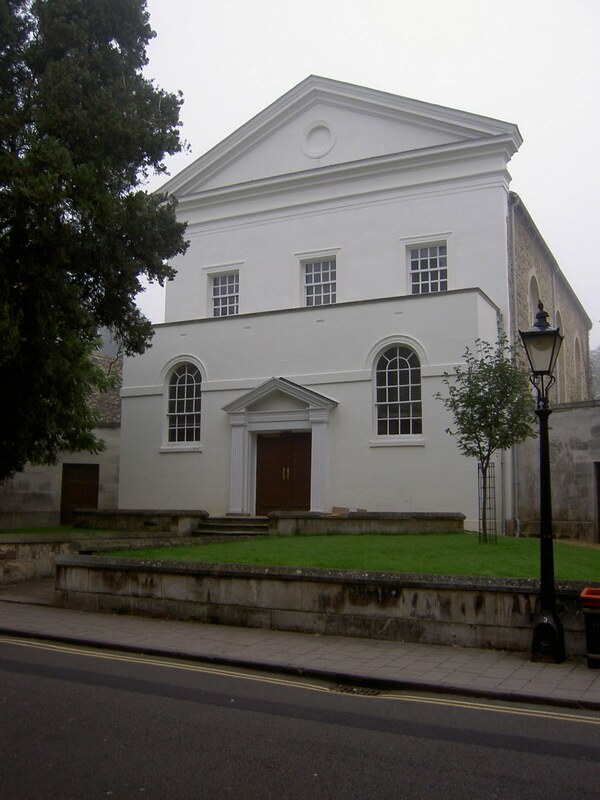 Many concerts take place in the Holywell Music Room (pictured), the oldest dedicated recital room in Europe where Mozart, Handel and Haydn played live. Perfect acoustic, if marred by occasional street noise, but that's part of the atmosphere. It's intimate, which is perfect for Lieder and chamber music, where art matters more than glitz. Wolfgang Holzmair sings the opening recital on Friday 15th, with Julius Drake. Schumann, but not the usual cycles we hear all the time, often not to best advantage. 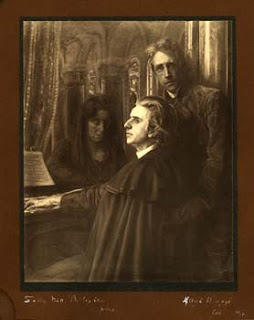 instead, Kerner-Lieder which Holzmair recorded beautifully and rarer Heine settings. Definitely a concert for those who really care about Schumann. Indeed, all through the festival there will be Schumann recitals and events, including "Lunch with Schumann" - refreshment for the soul! The Prince Consort will be singing Schumann Spanisches Liederspiel and Liebeslieder on 21st with a premiere by Ned Rorem (Prince Concert speciality) with Stephen Hough's Herbstlieder and part songs by Quilter and Barber. Review HERE. Not something you hear everyday.Also look out for "An introduction to Polish Song" (30/10) with Maciek O'Shea and Sholto Kynoch, which will include Chopin and Liszt songs but also lesser-known treasures. Maciek is I think a native speaker and very well informed. Oxford Lieder does "different" extremely well. On 16th Katarina Karnéus sings Sibelius and Ture Rangström which should be unmissable too, as she's one of his leading exponents. Later that night at 10pm Schubert songs with guitar, an instrument Schubert loved and played, so they need to be known to appreciate how he thought. There are lots of Schubert guitar songs, includiung a transcription of Die schöne Müllerin. Christoph Denoth plays, possibly period guitar. Read about him HERE. Seriously interesting concert, and in New College Chapel, itself an experience at night. I'm also booking for the pair of Hugo Wolf recitals, 21st and 22nd, when James Gilchrist, Stephan Loges, Anna Grevelius and Sophie Daneman sing the complete Wolf Mörike songbook. Since Wolf is one of the greatest Lieder composers of all, he's long been an Oxford Lieder trademark, so this will be good. Sir Willard White sings this year's Gala concert - Schumann, Vaughan Williams, Britten, Ives and Copland. Eugene Asti pianist. Imagine White singing Schumann's Husaren-Lieder! This will be fun. If you pay an extra £30 you get to sit in special reserved seats and enjoy a post-concert reception with White and Asti,. It's worth doing as this helps support Oxford Lieder which is entirely privately funded. Closing concert is Jonathan Lemalu, in a well-chosen programme which suits him, and includes Schumann's Andersen Lieder and Richard Rodney Bennett. Many other recitals, Sophie and Mary Bevan, Felicity Palmer and many up and coming young singers. Oxford Lieder has spotted many young singers long before they become really famous, so this is another reason for supporting it. Lots of classes and other activities and chamber recitals, too. Incidentally, the Oxford Chamber Music Festival now starts and ends just before the Oxford Lieder Festival, so they complement each other. At Bayreuth this weekend there'll be a special opera movie screened specially for kids. Tannhäuser. Tannhäuser? How to explain Venusberg, and the hero's hots for Venus? Or the pilgrims, guilt and "pure" love for that matter, even to German kids who are more into Bildung than most. On the other hand, why not? 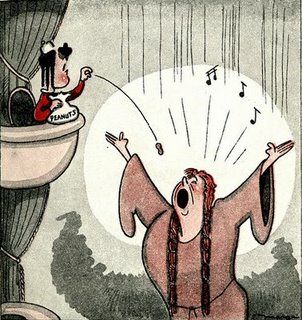 I don't believe opera needs to be taken literally. Kids may not understand everything, but they're smart enough to relate to things on their own terms. That's how the world around appears to them all the time. For most it will just be good guys, bad guys. Though secretly I thought Venusberg sounded more fun. Kids, or adults for that matter, don't need to feel pressured into understanding everything at once. There's a point at which explaining things veers into telling people "what" to think. Even kids of 9 or 10 can get indoctrinated, so it's a real issue. People used to learn to swim by being thrown in the deep end. Some drowned. But on the other hand, awareness and sensitivity, like swimming, are possibly innate. Learning to listen, I think, is part of being a whole human being. It's not really so much about learning form as about being open to feelings and experiences. Kids are often more emotionally literate than adults because they haven't learned what they are "supposed" to think. Ironically "listening like a child" is much more difficult than people assume Child-ish and Child-like are completely different concepts. Many adults are more child-ish than children. "Suffer the little children" said Jesus, "Don't stop them coming to me, for theirs is the the kingdom of heaven". Once I was driving, listening to Die Walküre. Suddenly from the back seat, my kids started cooing with joy. "More! more!" they babbled after the Ride of the Valkyries. They didn't know about Brünnhilde charging through the skies. To them it was just good music. 2010-2011 with the BCMG (Birmingham Contemporary Music Group) looks exciting. Luke Bedford's first opera, Seven Angels, eagerly awaited by all who know how well Bedford writes for voice. "Seven angels fall through space and time. When they come to rest in a desert landscape they imagine the creation of a legendary garden that once flourished there, and its destruction from greed and neglect". The text, by Glyn Maxwell, is nspired by Paradise Lost. The opera interprets the themes of John Milton’s great epic poem for a modern audience facing the potentially apocalyptic consequences of a changing climate and diminishing resources. If it is anything like Bedford's Good Dream She has, also inspired by Milton, and adapted by Maxwell, it should be wonderful. Please read more about that by clicking the link. Lots on Bedford on this site! Featuring seven singers and BCMG players, conducted by Nicholas Collon, Luke Bedford’s music for the opera is "both dark and seductive, tense and lyrical by turns, and integrates solo voices and choral textures", say those who've heard it. If it's anything like Good Dream She Has, wo! The opera’s post-apocalyptic landscape is realised by Japanese visual artist Tadasu Takamine. Seven Angels is the first collaboration between BCMG and The Opera Group. They were the team that briought the wonderful George Benjamin Into The Little Hill , so again the prospect looks good. Follow the link and see why. Seven interesting concerts !. See the BCMG site for more details. Looks like I'm heading for Birmingham on 10th October for Simon Holt, Rolf Hind and Helmut Lachenmann. Lots more coming up - Rebecca Saunders (Visible Traces, read more about her here), Mark Anthony Turnage, Birtwistle, Morton Feldman, (The viola in my life, a favourite) etc. And Ollie Knussen, too, of course. Special treat! Anton Webern conducts the Frankfurt Radio Orchestra in 1932 in his 1924 transcription of Schubert's German Dances.There are quite a few of Webern's arrangements of Schubert, and quite a few recordings, too, but this is Webern himself. It pops out of Langgaard's other work like a strange, exotic effloressence, as if a particle from outer space suddenly took root and flourished. It's inspiration in purest form, unadulterated by rational restraint. Thomas Dausgaard and the Danish National Symphony Orchestra were wise to match Langgaard with Ligeti's Lux Aeterna and his two miniatures Night and Morning. Not for nothing Ligeti's music was immortalized in 2001: A Space Odyssey: it sounds like music from another dimension. Famously, Per Nørgård played a trick on Ligeti into reading Langgaard's score. Like everyone else, Ligeti could hardly believe such music could have existed at such a time and place. Ferruccio Busoni dreamed of new means of expression, inspiring Edgard Varèse, another man before his time. Langgaard's a visionary too, for Music of The Spheres exists in an atmosphere of its own. Trying to approach it in conventional music terms is utterly pointless. Better, maybe to think of it as a fragment descending from a cloud of altogether more esoteric experience. Like so many other Europeans at the time, Langgaard was into "alien worlds", ideas outside the European mainstream. That's what connects Langgaard with Picasso, Debussy, Ravel, Loti, Colin McPhee, Szymanowski, Tagore, Blavatsky, Zemlinsky, Gandhi, Gurdijeff and, on a wilder plane, Heinrich Himmler who really did send missions to Tibet. Exoticism really is part of the western mainstream. And so to John Foulds, who quite likely would have understood Langgaard right away. Foulds was taken by theosophy, too, and went to India where he lived in an ashram. The Beatles and hippies were doing nothing new. Foulds's A World Requiem was revived at the Royal Albert Hall in 2007. Many admired its scale, but for me the performance seemed leaden and congested, the "orientalism" contrived. The big news at this year's Three Choirs Festival at Gloucester was the premiere of Ivor Gurney's A Gloucestershire Rhapsody. Gurney is hardly unknown. He's one of the most prominent First World War poets. He's on the school curriculum, so even 16 year olds know who he is. He's also famous as a composer of songs. So when Three Choirs presents his orchestral music, it's a major scoop. "What Gurney orchestral music?" one might ask, as Ian Venables prefaced his talk at Cheltenham Town Hall on 12th August 2010. 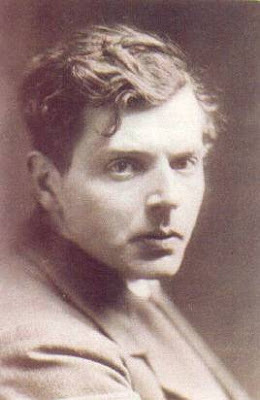 It's known that Gurney wrote quite a bit, including two symphonies, and even planned an opera based on J M Synge's Riders to the Sea, later set by Ralph Vaughan Williams. But in the disruptions of Gurney's life, unpublished manuscripts went missing. Fragments remain, though, and now the Gurney Archive at Gloucester is being carefully mined by Ian Venables (himself a composer), and Philip Lancaster. There's enough of Gurney's A Gloucestershire Rhapsody for Venables and Lancaster, both Gurney specialists, to produce a performing version for orchestra. Gurney began the piece around 1919, after returning from the trenches, and completed it in 1921. Nearly ninety years later, it received its premiere with the Philharmonia Orchestra conducted by Martyn Brabbins. Provocatively, Gurney starts with the same first bars as Richard Strauss Also sprach Zarathustra - a dramatic opening, but with a twist. Gurney deliberately wanted to counteract "The Prussians" and what they stood for. Understandable for a man who served throughout the war, though Strauss wasn't fond of "Prussians" either, being Bavarian. The horns give way to a pastorale in which Gurney evokes the Gloucestershire countryside, with its rolling hills and spacious horizons. It's primeval. To Gurney, past and present connected in seamless flow. The ghosts of prehistoric hunters, Romans, medieval farmers, depicted in a bucolic dance theme. "Two thousand centuries of change, and strange people". An ostinato section suggests both the heavy march of Time and the men of Gloucestershire marching innocently to slaughter on the Somme. I inherited a photo of an ancestor marching to war, passing under a shop sign that read "Butchers". Gurney said that what kept him going in the trenches was the thought of commemorating these men in poetry and music. A short, chaotic "war" section then gives way to a beautifully expansive theme, which might evoke a glorious dawn after a night of horror. It's Elgarian, in the sense of grandeur, but also Gurneyesque in that it's not triumphalist, but tender. This "dawn" opens on a gentle landscape in which you could imagine hedgerows and birds. Nature returns, and time moves on. Contrary to received wisdom, Gurney wasn't entirely denied music when he was locked in the asylum. At the Gurney Conference in Cambridge in 2008, there was an excellent paper based on research into hospital and other archives, which gives a tantalizing glimpse of pianos to which Gurney might have had access. In the 1920's and 30's, society didn't understand mental illness and PTSD. Veterans from Afghanistan don't get the help they deserve, so Gurney's tragedy is still relevant today. Fortunately, Venables, Lancaster and the Ivor Gurney Archives at Gloucester may give Gurney the respect that he is due. 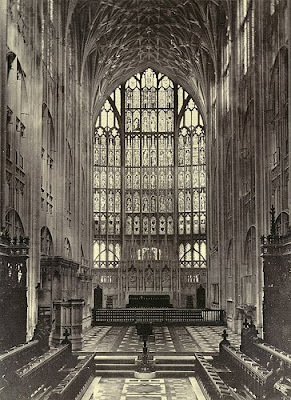 Below is a short clip of another Gurney fragment, the slow movement for piano and violin from a larger, but unfinished work, premiered at Gresham College, which has been providing public services to learning, free, for nearly 500 years. .
At the Three Choirs Festival, concerts start with prayers, which is a good thing, because it reminds us how lucky we are. Without music, beauty, spirituality (of any form) what would life be? Gerald Finzi's Intimations of Immortality is an act of faith, too, in the power of art to transcend. Relatively few composers have dared tackle William Wordsworth, whose poetry is too thorny to adapt easily to song. Finzi took years perfecting his Thomas Traherne setting, Dies Natalis, but daringly threw himself spontaneously into Intimations of Immortality. It's ambitious, requiring a large orchestra, a well trained chorus and a tenor with the fortitude to sustain 45 minutes of singing against a loud background. Finzi attempts to match the grand, stirring verse of Wordsworth with an equally expansive orchestral setting. For a composer whose strength was in smaller scale chamber and choral music and song, it is quite an achievement. As Finzi quipped "it makes a hell of a noise, but rather a wonderful noise all told". James Gilchrist is perhaps the finest exponent, against very strong competition (Ainsley, Langridge, Partridge) because he enters into the heroic spirit of this monumental piece. Against the vast forces behind him, and in the vastness of Gloucester Cathedral, Gilchrist's voice rings out resolutely. He's very moving, for he breathes meaning into what he sings, making Wordsworth's convoluted text feel personal and immediate. Get his recording, it's wonderful, the best introduction to the piece..
Like Dies Natalis, the introduction whispers themes to come. The orchestra is singing "There was a time, when meadow, grove and stream" before the voice comes in. The idea of unity between soloist, choir and orchestra, central to the mysticism in the piece. Gilchrist draws you into "the visionary gleam". "Waters on a starry night" sings Gilchrist, with the subtlest pause before and after the image, as if he's contemplating a wondrous jewel. Then again, with "the innocent brightness of a newborn day". What miracle is happening here ? Overwhelming ecstasy that can't be explained in mundane terms, exquisitely wondrous. "Thoughts that do often lie too deep for tears", revealed by Gilchrist's shining conviction. The Philharmonia Orchestra, from London, are talking up a three year residence at the Three Choirs Festival, so their playing adds a sheen much more polished than average. In time, they'll absorb Finzi's very unusual idiom, where intuition counts as much as form. The Philharmonia is possibly the finest British orchestra, steeped in European repertoire. Adrian Lucas, who conducted, is an organist and choirmaster, long associated with Three Choirs. It was interesting to hear how these two different traditions combine. This partnership between Three Choirs and the Philharmonia could prove quite an innovation. The Philharmonia has done quite a lot of Elgar. Here at Gloucester, Sarah Connolly was soloist for Sea Pictures, singing with heroic purpose, Boudicca refined and cultured. The real rarity on this programme, however, was Ivor Gurney's The Trumpet, receiving its first professional performance, 80 years after it was written. Gurney was Gloucester born, so deeply identified with the area that, in some ways, he died of a broken heart, forcibly confined in an asylum far away. When a map of the Cotswolds was smuggled into him, he obsessively traced his old hiking trails with his fingers. If only he could have known that his music would be given high profile exposure at Three Choirs, and in Gloucester Cathedral, where he sang in the choir and learned his music. Gerald Finzi would have been happy, too, for he passionately championed Gurney. I don't know if Christopher and Hilary Finzi were in the audience, (they usually are) for their presence would have felt like completing a circle. The Trumpet, based on a poem by Edward Thomas (text here), is a short piece for choir and orchestra, recently restored in full orchestration by Philip Lancaster. "Rise up! Rise up!" sing the combined voices, "Arise! Arise!". Trumpets and horns blow alarums, the effect overall uplifting. I enjoyed this! Read more about the genesis of this orchestration of The Trumpet on Philip Lancaster's site , which is a goldmine. On Thursday 12th, another Gurney first, the restoration of Gurney's A Gloucestershire Rhapsody was premiered by The Philharmonia and Martyn Brabbins. That is a major story, no-one's picked up on nationally, except the BBC. It deserves proper respect,so please click here for more. ease keep coming back to this site, where there's lots on Gurney, Finzi, Three Choirs, Elgar etc. and will be more, too. With the beatification of John Cardinal Newman coming up, I might also write about a true life, real miracle that happened at the last Gloucester Three Choirs Dream of Gerontius. Read about it HERE. Miracles don't have to be fancy stuff like raising the dead and moving mountains. But there are uncanny, inexplicable things that do immense good. PLEASE READ many other articles and reviews on this site about 3 Choirs, Ivor Gurney, Finzi, Hubert Parry, Butterworth and English music - use labels at right or search button. Glyndebourne's The Rake's Progress celebrates its 25th anniversary , a sixth revival with an excellent cast: Miah Persson, (divine! ), Topi Lehtipuu, Matthew Rose, Elena Manistina and GRAHAM CLARK! 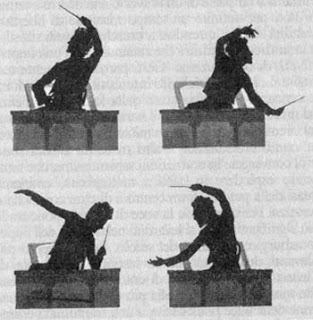 Vladimir Jurowski conducts. This year Hockney's back, too! Why is this Glyndebourne Rake's Progress such a timeless classic? It doesn't date because it is a treasure of literate, artistically informed stagecraft. Opera is meant to be seen as much as heard, and productions like this prove that good staging brings a score alive. Please read the original of this on Opera Today, about the 1975 film of the original Glyndebourne production . Indeed, it was the visual that inspired Stravinsky in the first place. During a visit to the Chicago Art Institute in 1947, Stravinsky saw Hogarth’s eight copper engravings. He saw the potential of using the formality of early, classical opera to structure a moral fable that defies time and convention. The libretto, by W H Auden and Chester Kallman, would follow. Their libretto respected Stravinsky’s instructions to adhere to a stylised model. The syntax may be archaic, but this serves to highlight Stravinsky’s fundamental modernism. Like A Soldier’s Tale, structure belies content. Basic ideas break through as universal. This production, designed by David Hockney, leaps in and out of one dimensional space. First we see a stage in simple black and white, like the Hogarth engravings, crudely etched in lines and cross hatching. Perspectives aren’t quite right, as in the originals. Then figures appear, their costumes reflecting the graphics. Film technology being what it is, lines flicker as the eye adjusts. Unintentionally, this serves only to underline the surreal effect of old film and old print. The further the narrative descends into inner madness, the more striking Hockney’s designs. In the auction scene the characters are shown in muted neutrals, wigs and clothes like paper cartoons. Only the auctioneer is fully coloured, for his is the role of distanced observer (much like Nick Shadow is). Even more striking is the remarkable staging of the madhouse scene. The asylum’s inhabitants pop in and out of boxes, like typepieces in typographers’ trays. Boundaries between real and surreal are overturned, just as the music subverts its formal constraints. Remarkably, this staging makes the voices in the chorus surprisingly human and personal, adding another element of insight. Performances, as one would expect, are very good. Felicity Lott makes Ann Trulove memorable, slight and sentimental as the role may be. She even manages to express a parody of the role in her aria in the asylum. Leo Goeke convinces as a wholesome wastrel, but less so as a ravaged rake. Nonetheless, the plot isn’t actually “about” him so much as his inability to withstand the temptations of the world. Looking bemused is a valid part of the characterization. The really dominant figure is Nick Shadow. Sam Ramey brings truly venomous richness to the part, his voice almost hypnotic with colour and menace. His acting is magnetic, and evocative. In the scene where he confronts Tom in the graveyard, I was powerfully reminded of his Don Giovanni. When he turns to speak to the audience, stepping out of the play into “reality”, he comes over as much more sympathetic than the thwarted lovers. Rosalind Elias, as Baba the Turk, almost steals the show. Her singing and acting are superb, and she fills the role with manic joie de vivre. She is an invention of almost divine inspiration, adding further layers of surrealism to the plot. She comes from the world of theatre where illusion rules. She’s a woman with a beard after all, whose sexual allure is supposed to make men melt. She collects the weird and wonderful with genuine gusto, while her husband has no gusto for anything. He abuses her by covering her up and trying to sell her. Symbolically, though, she revives and turns the tables. It’s not a big role in terms of time on stage, but a pivotally important one. The crowd scenes, too, are sensitively choreographed, and extremely well sung, as one would expect from Glyndebourne. This is an extremely robust and intellectually satisfying performance. With Bernard Haitink and the London Philharmonic Orchestra, there is very fine playing. The trumpet solo at the beginning of Act Three, accompanying Lott on her wanderings is especially evocative. But it is the marriage of music and visual imagery that makes this film such a treat. The grid patterns and lines in Hogarth’s drawings seem to come to life in the staging. The play of reality and unreality on many levels brings out the dynamic interplay between classical form and modernism in Stravinsky’s score. After this apotheosis, it’s not surprising that he didn’t feel a need to top this with more of the same. 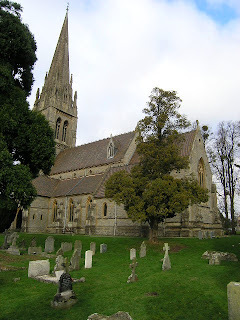 Highnam Church is in Gloucestershire, on the estate where Hubert Parry grew up.,He learned to play the organ here as a small boy, and visited it again a few months before he died. It's not ancient but a completely new church, designed and built in 1851 by Parry's father, who also painted the frescoes. On Tuesday, St Cecilia Singers, conducted by Ashley Grote, sang Hubert Parry's Songs of Farewell. Please read the address by Anthony Boden given on the occasion. It is extremely moving. The last Parry to occupy the estate loved this church and was also a stalwart member of the 3 Choirs Festival. He would have been at this concert, in his element, but passed away suddenly a month ago. Many in the audience knew and remembered. Boden's speech commemorates Hubert Parry, but it also tells a lot about the ethos of the 3 Choirs festival, and why it's so unique. It is much more than a music festival, it's a community that has been growing for many generations. I love 3 Choirs because of its old-fashioned, unsophisticated charm. Indeed, I think the more you understand the genius loci, the "spirit" of the landscape and people, the more you value the music. In Gloucester the past hangs heavily on the present. There's a timelessness in this part of the world that's hard to express. It feels very different from London, and from Aldeburgh. Different threads of Englishness. Britten did come to Three Choirs, reluctantly I suspect, and Finzi went to Aldeburgh, but I'm not sure RVW did. Very different vibes. Some London-based folk don't seem to know these alternative worlds even exist. It is by Severn, by hawthorns and grand willows. And ruddy clay falls scooped out to the weedy shallows. Past thought miracles are there and beyond numbers. Hill for her ground of sauntering and idle waiting. And her sons praises from England's mouth again be outcried. Interpretively, Mahler's Seventh Symphony is intriguing. Ingo Metzmacher's Mahler 7 at Prom 34 penetrates depths rarely accessed. If "a symphony contains the world", contradiction is fundamental. Metzmacher goes straight for the contradiction and reveals so much about the innate nature of Mahler's idiom that it bears thoughtful, careful relistening. Of all Mahler’s symphonies, Symphony no 7 is controversial because there are many scattered clues as to its interpretation, some wildly conflicting. It 's emotionally ambivalent, hence the variations in performance practice. This is not a symphony where “received wisdom” has any place. The opening bars were inspired by the sound of oars, on a boat being rowed across a lake. Immediately an idea of duality is established, bassoons paired with horns, their music echoed by strings and lighter winds. The "oars" gently give way to a slow march which will later develop in full, manic force. If the horns sounded slightly sour, this was no demerit, for distortion pervades this whole symphony, where all is heard under cover of night. Beneath the gentle surface flow disturbing undercurrents. Metzmacher conducts with real aplomb, rather, I suspect, like Mahler did himself (see picture). He smiles, and rounds his fist in huge, expansive gestures, and the musicians respond with richer, rounder playing. Despite the nightmare aspects of this symphony, humour keeps breaking through. Cowbells in a sophisticated orchestra? Perhaps Mahler is reminding us that life is about other things than being too serious. Deutsches Symphonie-Orchester Berlin's cowbells are wonderfully resonant, truly Wunderhorn-like, evoking associations, either from some recess in Mahler's memory, or from his earlier works (which is why knowing Mahler's whole output assists appreciation of individual works). Yet this nostalgia is neither cosy, nor comforting. The sharp pizzicatos, dark harp chords and almost jazz-like dissonances are meant to disturb, and the DSO Berlin players do them with whip-like savagery. This is “night music” after all, the stuff of dreams and nightmares. Resolution is not going to come until the blazing end, when the work is complete. Just as the first and last movements form an infrastructure, the core of the symphony is the scherzo Schattenhaft, literally “shadow-like”. This is no gemütlich Viennese waltz but one which harks back to a much more ancient, and darker, concept of dance as of demonic possession. It reflects the subversive Dionysian aspects of the 3rd Symphony. The strings, of course, take pride of place. Remember Freund’ Hein, the fiddler of death, though death is by no means the only interpretation in this bipolar symphony. Metzmacher lulls us with the gentler aspects of this music, so the eerier depths sound all the more unsettling. Just as in the best horror stories, the scariest bits are those you can’t quite identify at first. The famous horn dialogues of Nachtmusik 1 exemplify the contrasts that run throughout this symphony. Mahler shifts from major to minor, from upfront, blazing fanfares to shadowy cowbells heard from a distance. Strident trombone calls contrast with intricate trills in the strings. In contrast, the mandolin and guitar of Nachtmusik 2 are embedded in the orchestra, so they arise even more mysteriously into the consciousness, as if from a distance. They function much as the cowbells did before. Metzmacher makes the connection. Thus the contrast with massed strings. But the simplicity is sympathetically reinforced by a superb solo by the orchestra's Leader (Wei Lu). The humble troubador's music is private, not meant to be heard by the slumbering masses, a "ferne Klang". The first violin, however, makes it clear how important the image is. Then the cellos pick up the concept, their deeper, more sophisticated sounds echoing the mandolin and guitar. The Rondo-finale is magnificent, but Metzmacher and his players understand the crucial human-scale pathos that runs beneath. And what a finale Metzmacher creates! its fanfares, alarums and crashing percussion drive away the ambiguities of the Nachtmusiks like brilliant sunshine drives away the shadows of the night. Dominant major keys return. The solemn march of the first movement becomes a blitzkrieg stampeding wildly forwards. The deceptive patterns of Rondo repeats seem to contradict the forward flow, until, at the end, the trajectory surges forth again, triumphant. This final movement is carefully scored with no less than seven ritornellos and several secondary themes. Trumpets, drums and bells normally evoke sounds of triumph, but what is really in this triumph? Not bluster, according to Metzmacher, for his Mahler isn't brutalist. Contradictions again. He keeps control of the intricate architecture even when the music explodes in exuberance. A Messiaen dawn chorus, each bird distinctly clear in the cacophony. This turbulent, life-enhancing energy is more indicative of Mahler’s personality than conventional wisdom allows. Dionysus, the god Pan, the subversive Lord of Misrule has broken loose again, intoxicated with love of life. Easily this was the finest Mahler Prom this season, though there hasn't been any real competition. It's probably not a "first Mahler", since it's not superficial and needs a basic understanding of the composer's work as a whole, but there is a lot in it, and it's a genuine contribution to Mahler performance practice. Metzmacher has long championed "suppressed music", composers banned by the Nazis for various reasons. His approach is important, because he hears the music in its true beauty. My friend and I had come for Franz Schreker's Der ferne Klang – Nachtstück. Wonderfully lustrous performance, the strings particularly luminous. This matters, for Der ferne Klang is a much deeper opera than its plot might suggest. "The Distant Sound" is literally heard from afar as it's played offstage by an invisible musician. It's seductive, ravishing, hypnotic but dangerous, for the composer who hears it sacrifices all. Although the opera has just been premiered in the US, it's had quite a few performances in recent years in Europe. 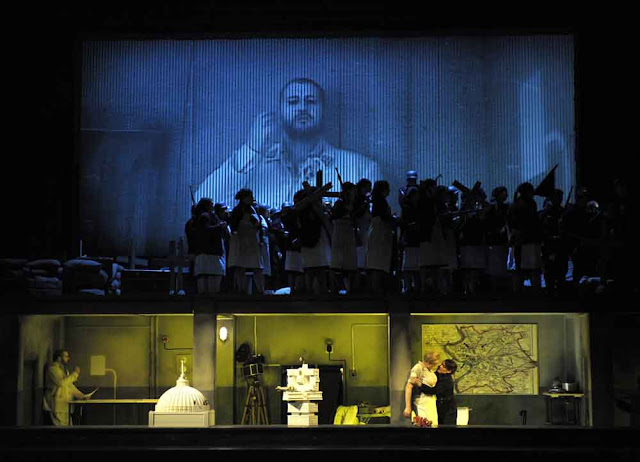 Indeed, Metzmacher conducted the whole opera earlier this year, please read a review in Die Welt. There is a lot more to Schreker than ultra-late Romantic, the cliché which he's been saddled with. Please see what else I've written about Schreker for example Die Gezeichneten, and Der Geburtstag der Infantin) him, and come back because I'll be doing more, esp on Christophorus. The Royal Alberrt Hall went wild for Leonidas Kavakos because he's wonderful. He took three bows and did an encore. But I'd come for Korngold's Violin Concerto, and Kavakos exceeded all expectations. He brings out its European intensity, very rigorous, incisive playing. Because Kavakos treats it stringently as the serious music it really is, you appreciate how interesting Korngold really was, behind the surface glamour of Hollywood.